Located in Wuqing Development Area, New-tech Industrial Park in Tianjin, Tiens International Health Industrial Park covers an area of a square kilometer. 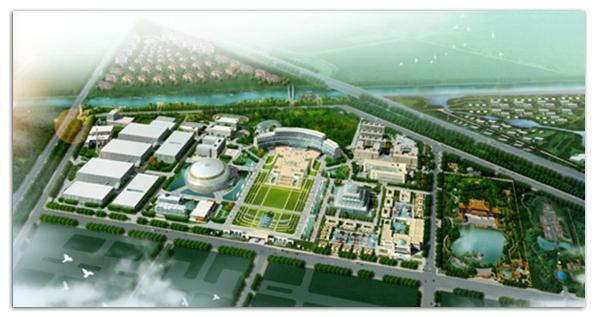 The total investment of Tiens International Health Industrial Park will reach RMB 7 billion. The park integrates product research & development, pilot experiments, manufacturing, international logistics, international marketing, international education and training, international tourism and discussions, international recuperation, fitness healthcare, and health management. By combining production, studies and research, the park has become a multifunctional industrial park characterized by automated production and distribution, multi-denominational warehouse storages, modernized operation, people-oriented management, and eco-friendly development. Once the park is completed, there will be two property chains within it: one is an internationally standardized production, logistics, research & development, and quality control property chain that generates RMB 30 billion in revenue per year; the other one is a tertiary service chain dominated by convention, exhibition, hotel, and a health management center. Tiens Group has established the Tai Ji Sun Health Management Co., Ltd within the Tiens International Health Industrial Park. Tai Ji Sun is Health Management Co. Ltd which is the large scale independent management institution, serving global high-end customers with an all-round, advanced and humanized health management service. Facilities and auxiliary equipments are complete, including top quality kits such as top-notch PET-CT, double powered CT, magnetic resonance and automated. Other facilities are an international conference centre, capable of holding 7,000 people; an international banquet centre whose serving capacity is 3,000 people; 3 hotels of respective 4 star, 5 star and 7 star that can entertain 4,600 guests; a hyper luxurious Hang Tang hotel to accommodate 9 president level VIPs and more than 90 ministerial rank guests; a water recuperation centre where it uses 93? bisilicate mineral water from 2,800 metres underground that contains various precious substance and microelements; an ecological garden, a 18-hole gulf court, a luxury yacht club, fishing dock and airplane parking field. To complement the industrial park, Tiens Group will invest large amount of money to establish an international university. It will cover an area of 3.2 square kilometers, and its buildings will have a dimension of two million square meters. There will be 30,000 students, with 20 colleges and 120 principal courses to be set up. The university will have the world's first-class education equipment, laboratories, libraries, and living packages; Tiens International University will cooperate with the world's top universities, recruiting world-class management experts and education gurus to form a management team to lead the best personnel and to help students plan their careers within a period between three and six years. The university will cultivate world-class internationalized professionals, and explore the ways of combining production, education, and research. In this way, we will realize the goals of "Guaranteed Employment" (students will be trained into scholars and experts with stronger research & development abilities and will be competent white collars), and "Guaranteed Entrepreneurship" (students will be trained to become enterprising and able business leader or senior white collars) and Guaranteed Development (we will nurture internationalized professionals, improve people's comprehensive abilities, and help them realized their values). Such an overlying incubator will achieve the result of 1+1>100, and provide more internationalized professionals that drive social development, national advancement, and the growth of related industries. The establishment of Tiens International Health Industrial Park will significantly help TIENS integrate domestic and overseas resources, achieve sustainable development of property groups, promote brand influence, and lay a solid foundation for the global development of Tiens Group. The inception and gradual launch of Tiens International Health Industrial Park is a reflection of Tiens' adoption of the Scientific Development Concept, its assumption of corporate social responsibilities, and its long term commitment to make greater contribution to the society. The establishment and operation of Tiens International Health Industrial Park will greatly promote the economic development of Beijing, Tianjin, and the Bohai Ring Economic Zone.